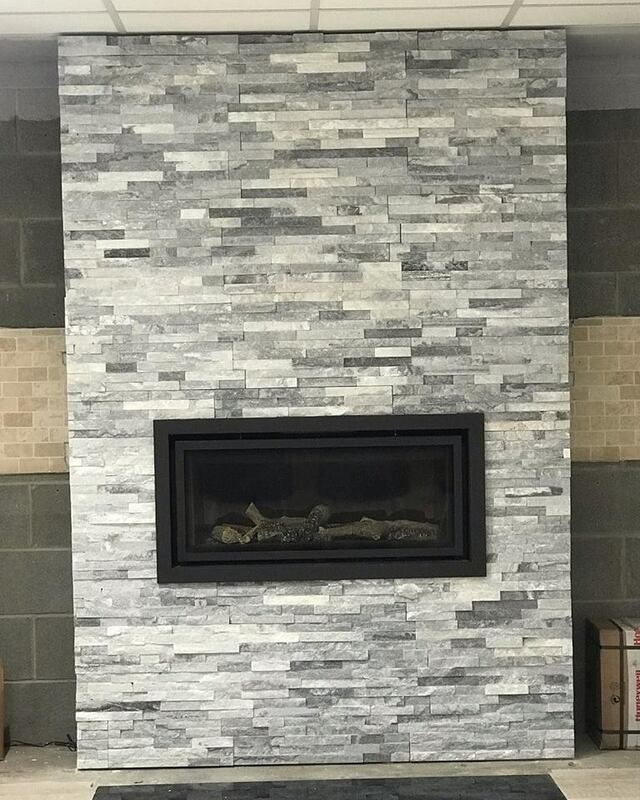 Here we have made a false chimney breast so we can inset the whole in the wall gas fire. 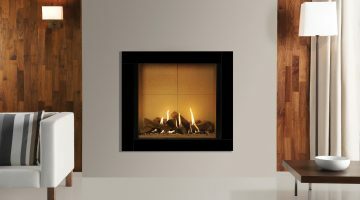 We have then cladded the chimney breast with a stone effect tile and finished the fire with the graphite profile frame. 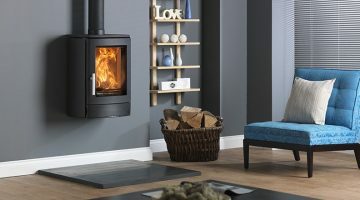 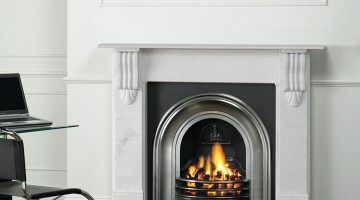 For more information or pricing please call 02891827117 or call into our showroom on the Jubilee road to see this fire on live display.